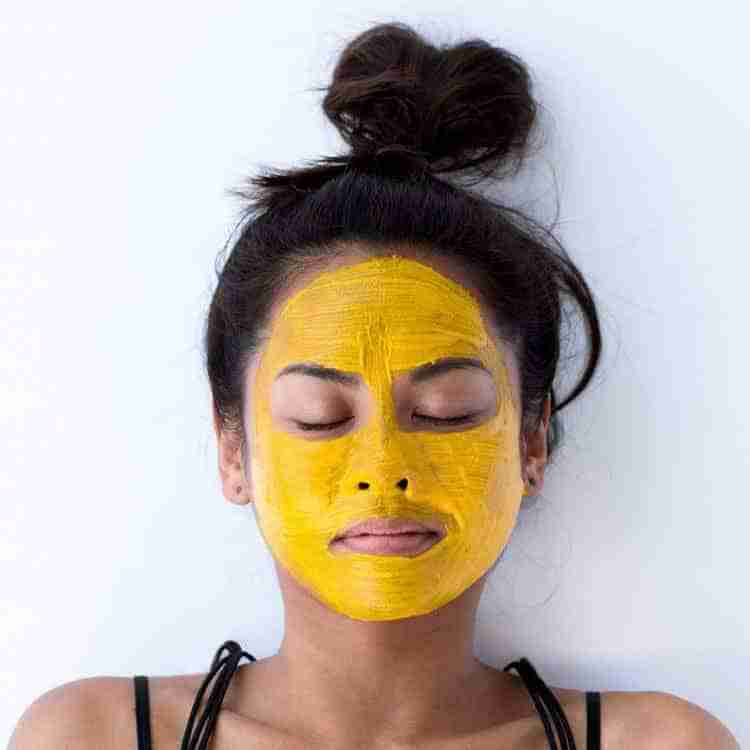 Turmeric face masks – ever tried one? Nourishing skin from the outside is just as important as nourishing it from the inside. Superfood from your kitchen can be used to make some amazing vegan body and face recipes. The best part is its super simple too. Have a banana handy? Then try this skin detoxing facial mask. Banana contains Vitamins A + C and is rich is potassium. Theses two vitamins are an anti aging skin renewing powerhouse combo. Turmeric is a powerful antioxidant and pore cleanser making it ideal for acne or blemish prone skin. Cinnamon oxygenates skin, plumping out fine lines. It also has antiseptic properties that can help soothe and heal skin. Mash the banana into the consistency of a paste and then stir in yoghurt, cinnamon and turmeric. Apply to face and neck and leave on for 10 – 20 minutes. The chilled texture of the yoghurt feels great when applying it to the skin. Wash off with a facecloth. Skin should feel renewed and smooth. If you are not vegan you can substitute the yoghurt for any plain probiotic packed yoghurt. Katsuri turmeric works best for this recipe because it doesn’t stain. However because its being mixed with yoghurt, standard turmeric will work as an alternative because the yoghurt helps stop the staining effects of turmeric. This mask can also be used on any pimple prone parts of the body such as the back or chest. You can rev up the effects by adding some ground oats, oat flour or almond meal and turning it into a mask exfoliation scrub duo. Just leave on skin for 10 minutes and then add a little water and rub in gentle circles over problem areas of your skin. Who would have known the kitchen and the fruit bowl were hiding all sorts of skinfood secrets. Let us know what you thought of the scrub or any substitutions you made? At Koko we always love to hear new ideas.